hello, LOVE your bracelet! 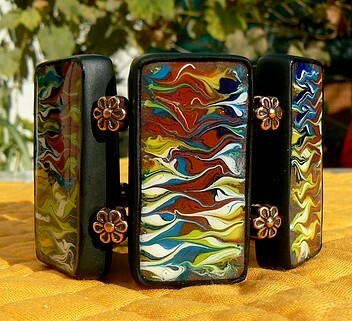 how did you make these tiles for this bracelet? are they from polymer clay canes? If not, how did you accomplish this beautiful design?